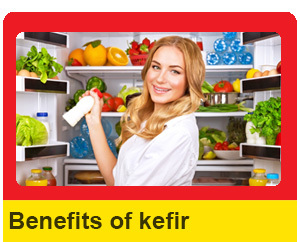 Kefir has long been believed to promote long life and increase overall health. This folklore led to many more recent scientific studies, which have also shown that a daily dose of kefir strengthens health and has many benefits on the body. It all comes down to the uniqueness of the kefir grain. The kefir grain works on a basis of harmony, or a symbiotic community, which, when consumed, goes on to promote harmony in the body. This symbiotic community means that the microorganisms, including many kinds of bacteria and yeasts, have a mutually beneficial relationship within the kefir grains. These compounds have bioactive characteristics meaning that they have an effect on the human body as well. Ingesting kefir milk has both probiotic and prebiotic effects. The probiotic advantages are that kefir milk transfers good bacteria into the digestive tract to assist the body. The prebiotic compounds enter the body and promote the actual growth and colonization of good bacteria in the same area of the body. The double profits of probiotics and prebiotics when drinking kefir as well as the minerals and amino acids it contains lead to many health benefits. Here you have it! These are just some of the benefits which can be expected from regular homemade kefir milk consumption. The greatest benefit of kefir is an all around good feeling and high energy levels in both the mind and body. Continuing scientific studies are sure to reveal more benefits of this ancient fermented drink. 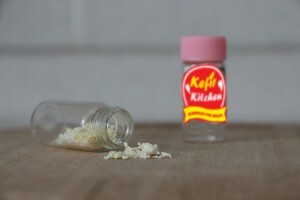 Hi, I am looking to buy Kefir grains in Canada. May I know where I can purchase them? 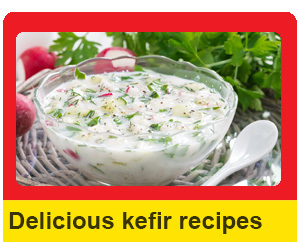 Hi Di, please feel free to order them on our Kefir Shop. Best. I’ve been making kefir for about 3 years now. It has benefited my digestion immensely. Can I buy ready to drink kefir from the market instead of the grain procedure at home? Will I have the same benefits to my body? drinking market kefir is still considered to be a process food. 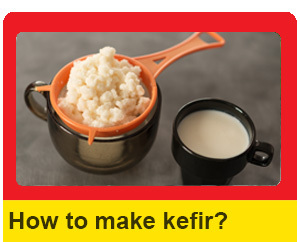 We recommend you to make your kefir at home. My colleague introduced me to kefir. It has changed our health and is a new way of life. We as a family have less health issues and are excited to know its beneficial to our bodies.